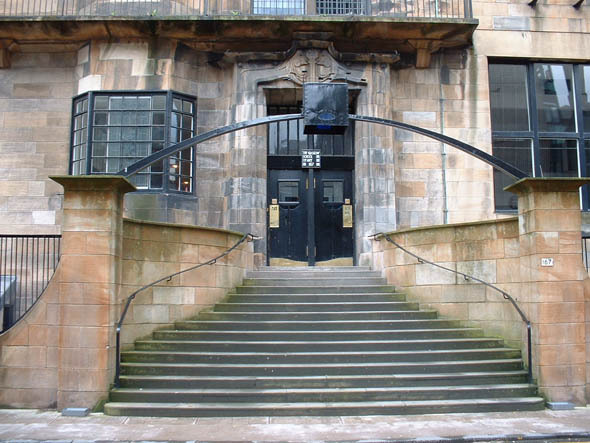 The Glasgow School of Art campus is spread across 10 buildings, most of which are situated on Renfew Street in Garnethill. The Mackintosh Building, or ‘the Mac’ as it is known by staff and students, is the heart of the campus and continues to be a functioning part of the school. It primarily houses the Fine Art Painting department, first year studios and administrative staff. It also houses the Mackintosh gallery which holds many different exhibitions throughout the year. The gallery is the only part of the Mackintosh building open to the general public, all other areas are of the school are only viewable by guided tour.